*Giveaway* Win 150 Wedding Programs from MagnetStreet. Enter on Facebook. 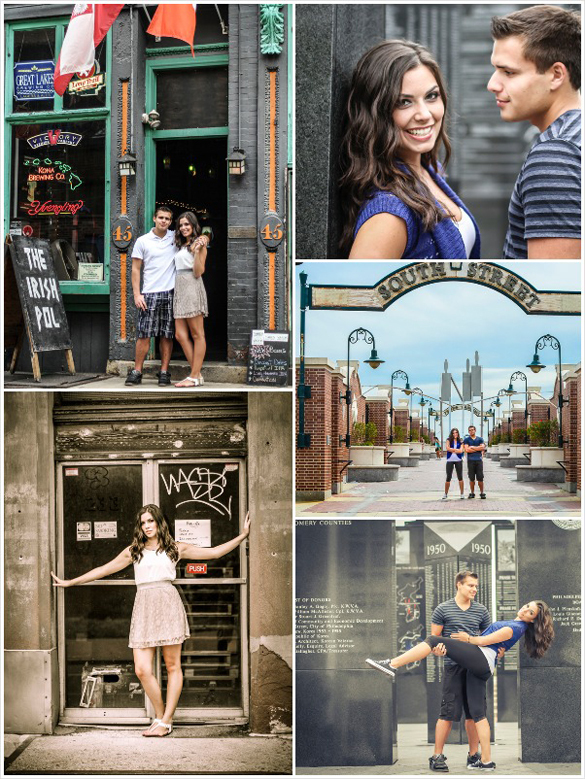 Rowan University college sweethearts--Danni and Eddie--had a great time running around Philadelphia snapping pics for their engagement session and giving us a sneak peek into their laid-backstyle and personalities. If you're looking for unique photo ideas, this urban sesh is a fun cache of ops for taking advantage of the city's eclectic backgrounds, interesting textures and vibrant colors. Where will you be taking your engagement pictures? Submitted 4 years 10 months ago by Heidi.